We've worked with large organisations such as the NHS, RSPB and Scottish Power as well as smaller businesses, councils and domestic cases. We carry out surveys of buildings, structures and trees and produce a report which can be used as part of a planning application. We advise on the felling of trees and any proposed building demolition work, along with licensed bat exclusions for domestic and other properties.
" Nocturne have a robust, no nonsense approach to getting work done. A very professional service. " 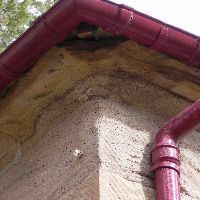 Why would you need a bat survey? 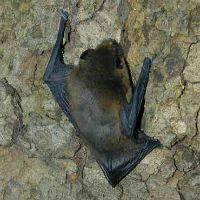 The most common reason for needing a bat survey is when you are developing or demolishing a property. 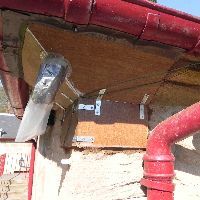 As bats are a protected species (even when bats are not present but evidence of a roost is found) you need to take preventative measures to ensure your plans are not disturbing their roost. In most cases a survey will be required by your local planning department to make a ruling on your circumstances. What's involved in a bat survey? We begin with a "walkover", basically a preliminary review of your site. Thereafter, we monitor your site for activity. The best time of year to carry out a survey is from April to October, with June and July being the optimum months. 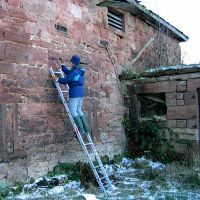 Outwith this time a Preliminary Ecological Appraisal (PEA) can be carried out to assess the site for suitability to support bats. The time it takes to carry out a survey varies depending on the size and complexity of the site or building in question and the time of year the survey is carried out. What happens if bats are found during the survey? The information and recommendations will be included in the report for the project. We will then discuss the best way forward for the bats and the development. A licence will be required from Scottish Natural Heritage (SNH) before any work can proceed. 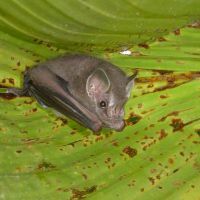 While finding bats may delay your project, it is unlikely development will prevent progression. In most circustances you will be asked to make allowances for the bats in terms of mitigation and compensation by modifying your plans. We have conducted bird surveys for smaller wind turbine developments. 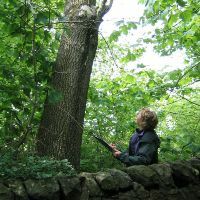 This usually involves undertaking a Phase One Habitat Survey and winter walkover bird surveys together with a scaled down common bird census during the breeding season, a desktop study of target species and local designated sites, and liaison with local conservation organisations and statutory bodies as required. 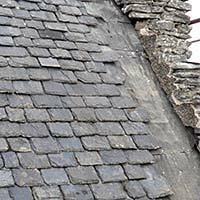 We have also conducted nesting bird surveys prior to construction, development or demolition. Licences are available from SNH to allow specified people to carry out actions that could otherwise constitute an offence. If you are planning any activities that could affect wild birds or the places they use, you are obliged to comply with the law. For more information, refer to the SNH licensing and bird pages. If you are interested in this aspect of work please contact us.
" 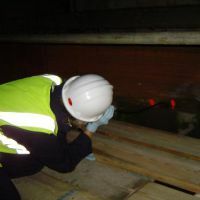 We appointed Nocturne to carry out bat and bird surveys ahead of a repairs project. They provided a personal service and we benefitted from the consistency of working with Catriona, personally, throughout the project. "